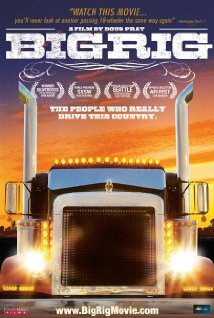 Big Rig is a 2007 documentary film by Doug Pray about long-haul truck drivers. The film consists of a series of interviews with different drivers, focusing on both their personal life stories and also the life and culture of truck drivers in the United States. The film was an official selection of the Seattle International Film Festival and AFI Fest, and was featured at a handful of other small film festivals. The film was and remains a big hit with the trucking community and truck drivers.